Tonya Edwards’ path to the WNBA was unusual. Edwards graduated from Tennessee in 1990 after a successful tenure in which she won two titles with the Lady Vols. However, there were no opportunities for women to play professional basketball at the time, so Edwards looked overseas. 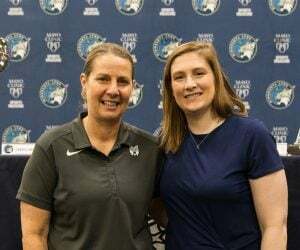 She played abroad with several different teams from 1991-96, before returning to the U.S. to join the Columbus Quest of the American Basketball League (ABL). Edwards had a successful stint in the ABL, winning two titles with the team. She also took over interim head coaching duties after Quest coach Brian Agler resigned in 1998. After the ABL folded, Edwards declared for the 1999 WNBA Draft. 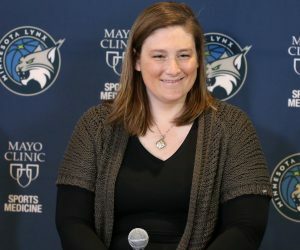 Edwards was drafted by the Lynx with the seventh-overall pick, making her one of the founding members of the franchise. 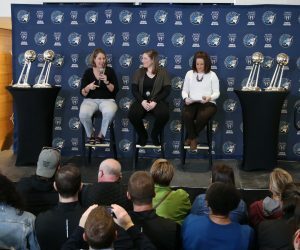 In 1999, her best season with Minnesota, she averaged 14.8 points, 2.1 threes, 3.5 rebounds, and 2.6 assists, making the 1999 WNBA All-Star team. 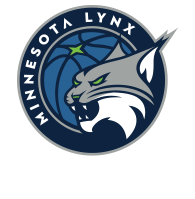 Edwards only played one season with the Lynx, going on to play for Phoenix and Charlotte before retiring after the 2002 season. 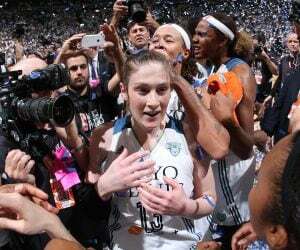 She is currently an assistant coach with the Los Angeles Sparks, where she works with Agler, her ABL coach.